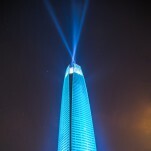 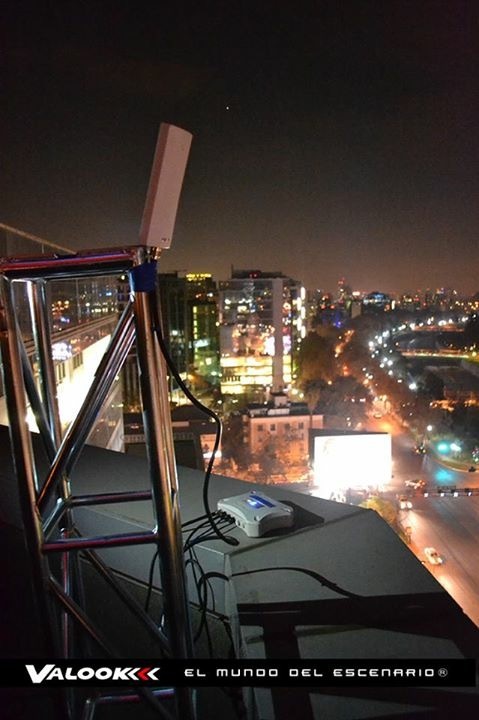 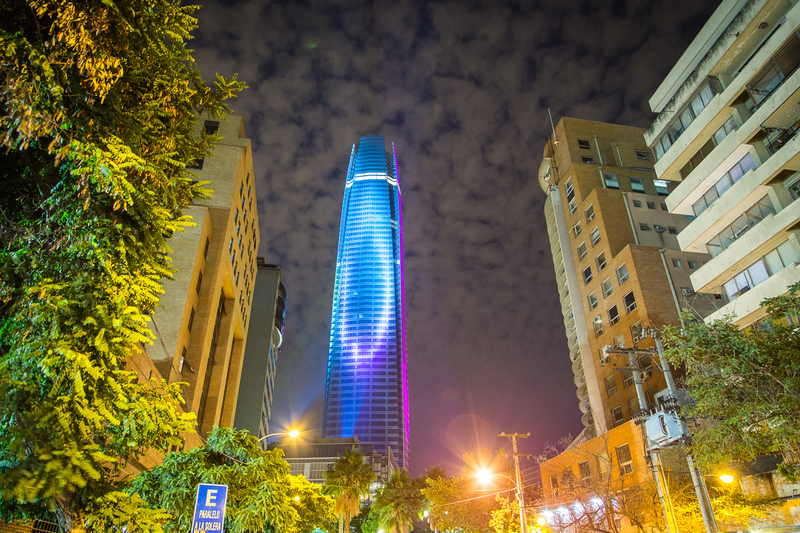 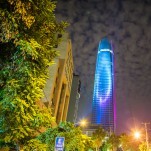 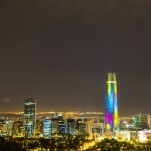 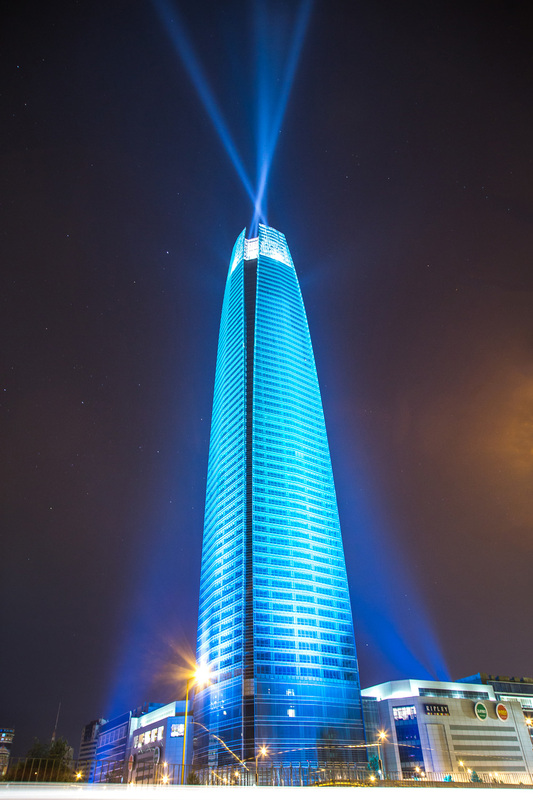 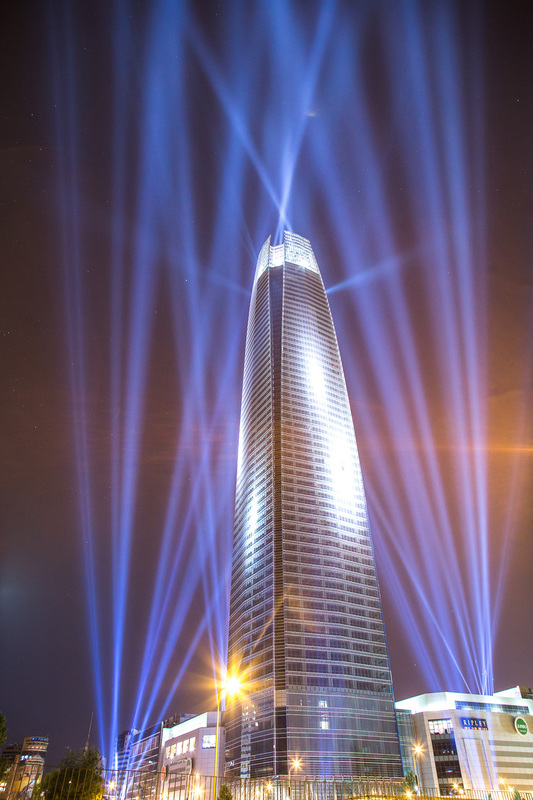 From June 4 to July 4, 2015, VALOOK worked with customer Icardi Producciones to light the Costanera Center Tower for America´s Soccer Cup. 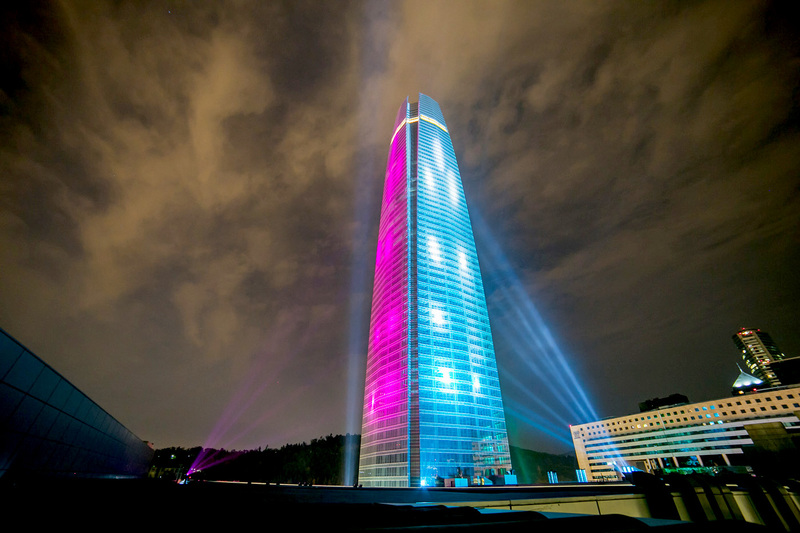 Icardi Lighting Designer Toni Amoros washed the building with 4kW searchlights displaying the color of the teams that were playing. 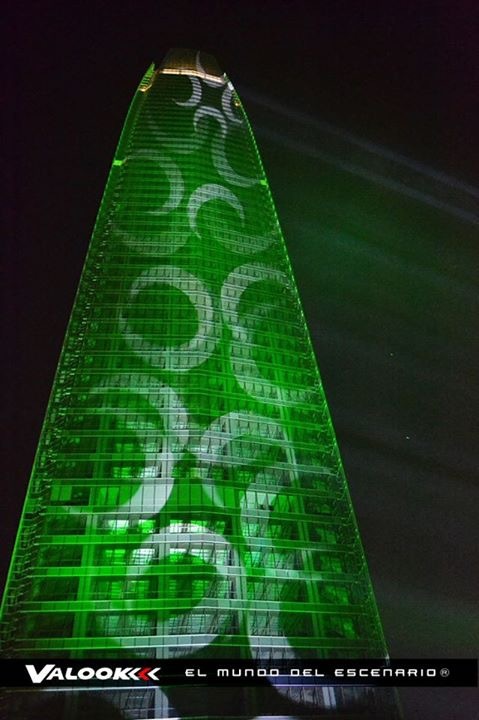 Clay Paky Mythos projected a gobo onto the building and when a team scored, they projected the word “GOOOOOL”. 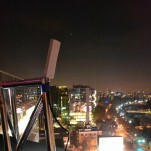 DMX signal was sent using W-DMX WhiteBox units. 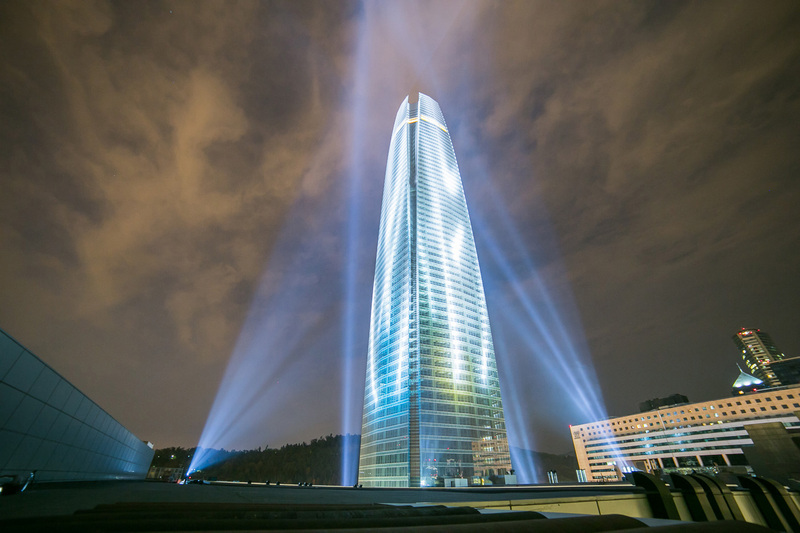 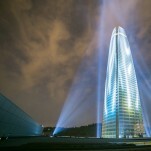 During Christmas, VALOOK also worked with Icardi using W-DMX on another stunning temporary installation on the Costanera Center Tower. 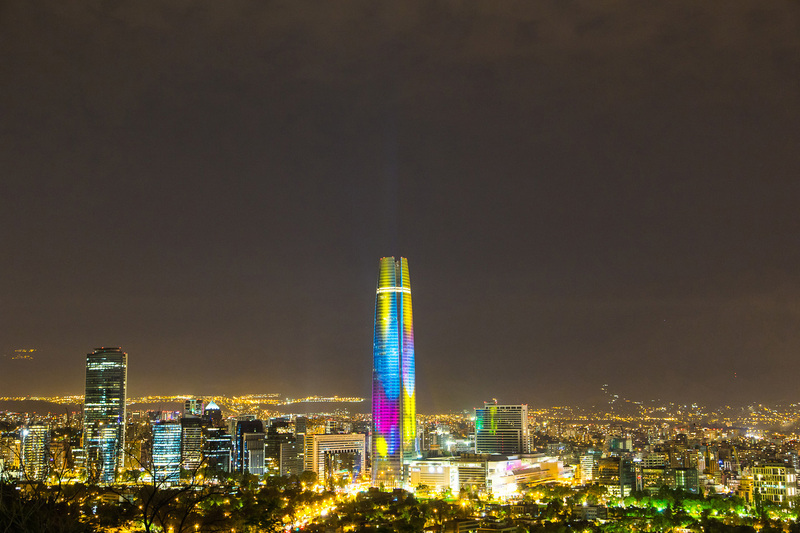 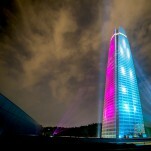 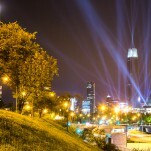 LD Toni Amoros painted the tower in Christmas colors and the beautiful work could be seen from all of Santiago. 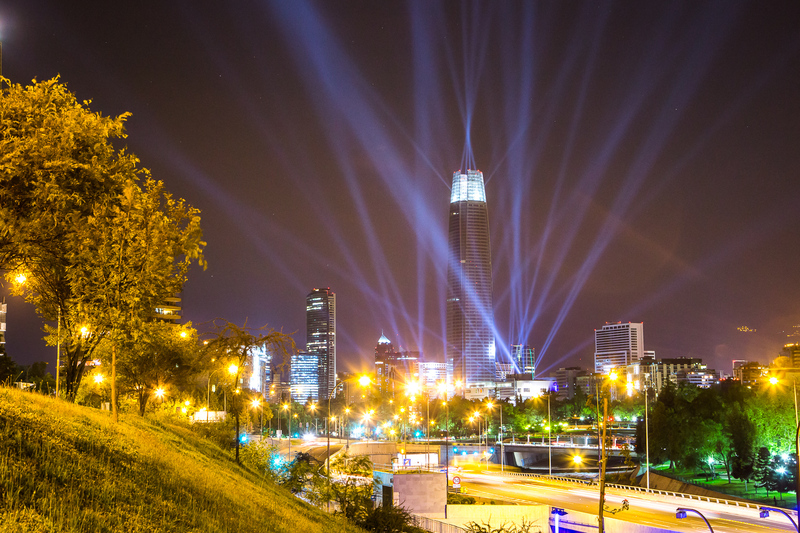 At nine o´clock each evening for 15 days, the show started and lasted 15 minutes. 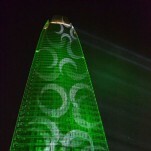 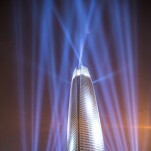 Crowds of people joined around the tower to see it.